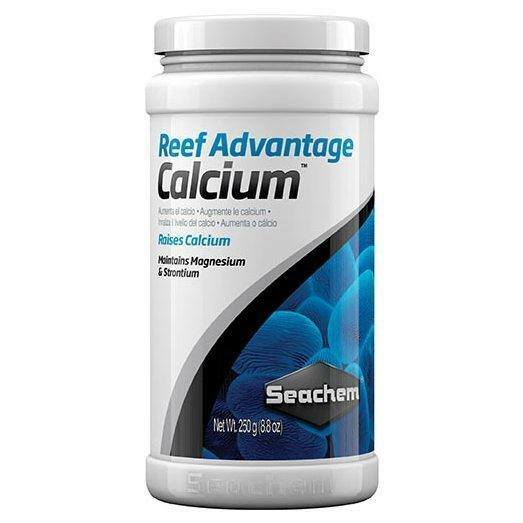 Seachem Reef Advantage Calcium ™ is a non-caustic (pH 8.3–8.6) optimized blend of ionic calcium designed to restore and maintain calcium to levels found in natural seawater. 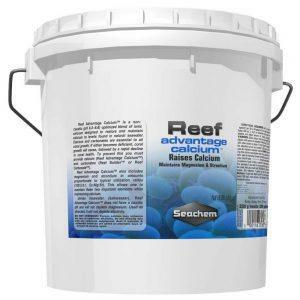 Calcium and carbonates are essential to all coral growth. If either becomes deficient, coral growth will cease, followed by a rapid decline in coral health. Seachem Reef Advantage Calcium ™ also includes magnesium and strontium in amounts proportionate to typical utilization ratios (100:5:0.1, Ca:Mg:Sr). This allows one to maintain these two important elements while maintaining calcium. 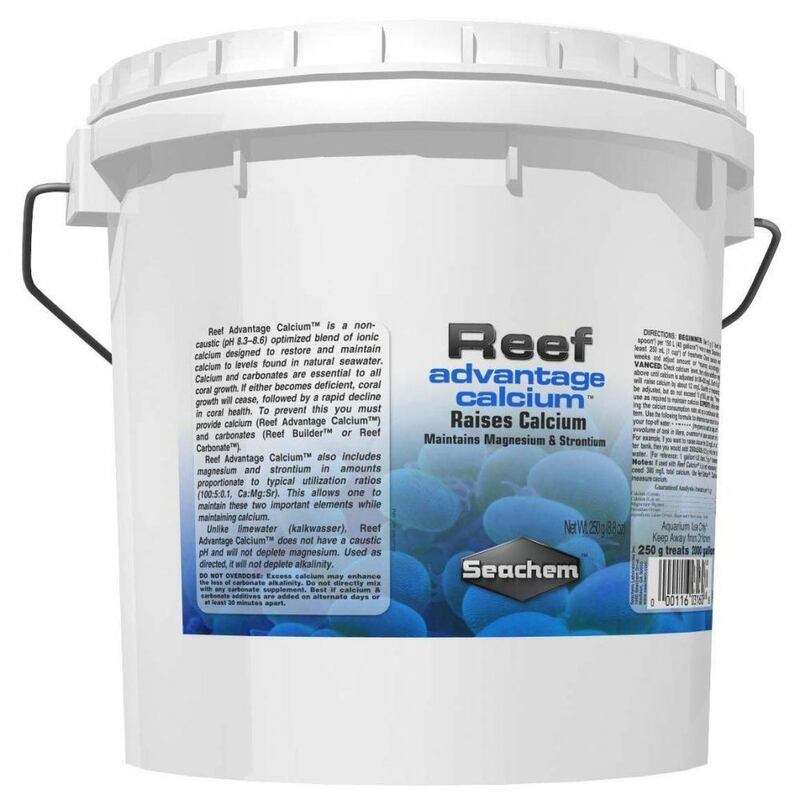 Unlike limewater (kalkwasser), Reef Advantage Calcium™ does not have a caustic pH and will not deplete magnesium. Used as directed, it will not deplete alkalinity. BEGINNER: Use 5 g (1 level teaspoon) per 150 L (40 US gallons) twice a week. For precise dosing, use the Seachem Digital Spoon Scale. Dissolve in at least 250 mL (1 cup) of freshwater. Check calcium every 2 weeks and adjust amount or frequency accordingly. 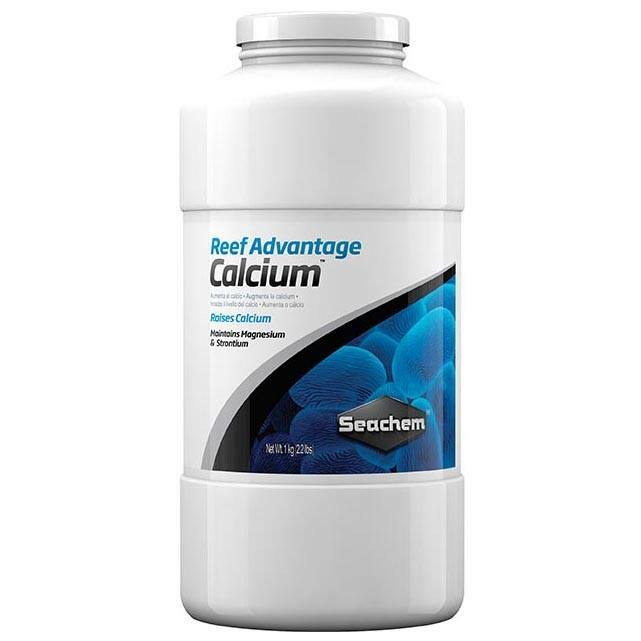 ADVANCED: Check calcium level, then follow addition regimen above until calcium is adjusted to 380–420 mg/L. Each 5 g/150 L will raise calcium by about 12 mg/L. Quantity or frequency can be adjusted, but do not exceed 10 g/150 L per day. Thereafter, use as required to maintain calcium. EXPERT: After determining the calcium consumption rate, set up a continuous drip system. Use the following formula to determine how much to add to your top-off water: m=vc/400 (m=grams to add to top off water, v=volume of tank in liters, c=amount to raise calcium in mg/L). [For reference: 1 gallon=3.8 liters, 5 g=1 teaspoon].